How do you transport your fatbike to the trail head? I carried mine inside my vehicle and outside hanging from the top tube and I was not truly happy with either. I looked at roof mounted carriers, but I don't really want to be wrestling a 30+ lb bike in wind trying to get it secured. I don't have a pickup so the only other option was hitch mounted tray style. 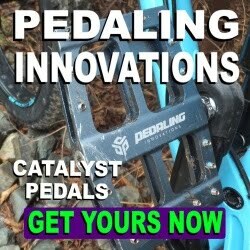 After some research I discovered a Canadian company that just released their new fatbike mounting system . . . Swagman. 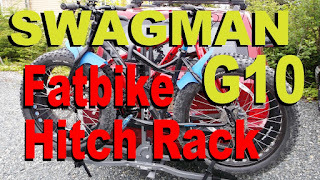 Swagman is located in Penticton British Columbia and have been making bike racks for over 20 years. Swagman was kind enough to provide a G10 and their new Fat Trays for review on Fatbike Republic. Be sure to watch the video (at the bottom) which has additional information and details. The G10 is a hitch mounted rack (1 1/4" or 2") and can carry up to two bikes. 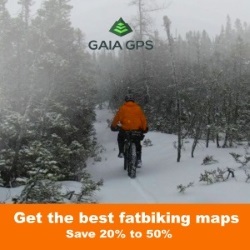 Maximum load of 45lbs per bike - perfect for even the most portly fatike. The G10 arrived with absolutely no damage as it was quite well packaged. The Fat Trays are shipped separably and are boxed in pairs. Opening the box you will find all the rack parts, instructions, galvanized nuts and bolts, a security cable and four standard wheel trays. Assembly took less than 20 minutes using a 1/2" wrench (or socket) and a phillips screwdriver. Instructions were referenced, but honestly it was pretty intuitive putting the rack together. Fit and finish was excellent. The assembled rack was 46 lbs with the Fat Trays adding 3 lbs a piece. Actual installation was a breeze. Slide in, line up the hole for the hitch pin and install the pin. Done ! Swagman's Fat Trays are new for 2015. They are a direct replacement for the standard wheel trays on the G10. 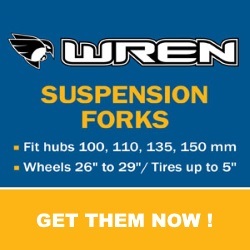 These are no wimpy plastic wheel holders that are prone to cracking, these are made from powder coated steel. The extra long ratcheting strap feeds into a spring loaded buckle to keep the bike secure fore and aft. A rubber cushion on the strap ensures that there is a secure grip on the wheel. I believe the cushion is unique to Swagman as I have not noticed it on any other fat adapters. The Fat Trays are adjustable for bikes of different sizes. Swagman claims that their new Fat Trays will take up to a 5" fatbike tire. The Trays easily handled a 5" Snowshoe XL in addition to 4" Nates. 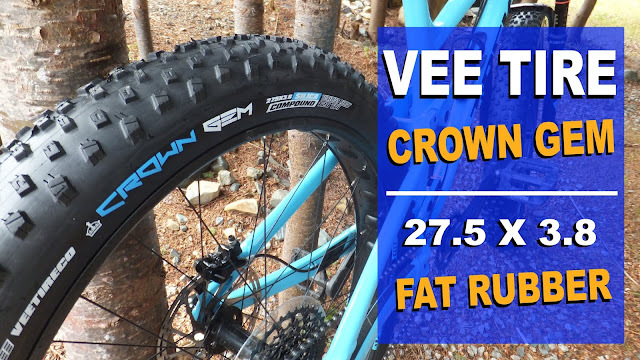 They could probably handle a 5+" tire like the Snowshoe 2XL. 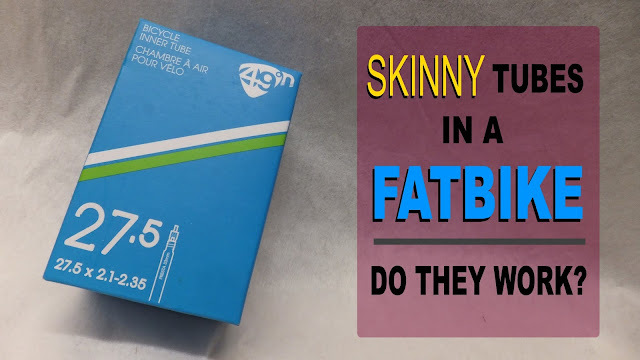 So what do you do when you need to carry a non-fat bike? The Swagman Fat Trays will handle mountain bike tires and those ultra skinny road tires. It takes about 30 seconds to install or remove a bike. The cable lock is a breeze to use and is covered in the video. Throwing on a second fatbike takes a little more time, and they fit quite nicely. If you need to get into your vehicle with bikes mounted, flip the lower lever and tip it back . . . full access. 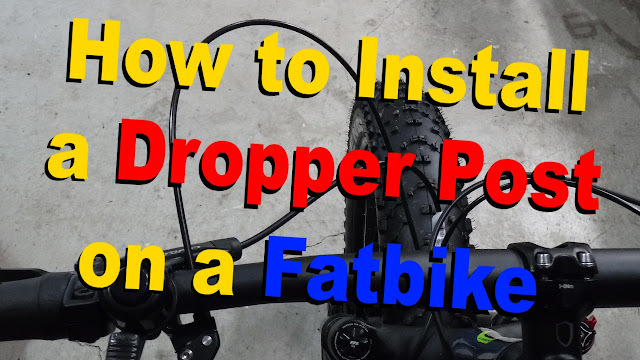 With no bike aboard, fold the upright down, flip the lower lever and tip the rack forward. Its locks securely and compactly against the vehicle. I have traveled dirt roads, potholed pavement and smooth asphalt with my Bigfoot mounted in the G10. The bike did not shimmy, shake or quiver even when driving 100 kph on the highway with side winds. I'm impressed. I have reclaimed the interior of my Jeep, no longer have to carry extra bungee cords and straps, and do not have to worry about running into a store with questionable characters afoot. 1) Reflective tape. Put some on the underside of the rack so that it can be easily seen by others when the rack is folded. I did this for under $10. 2) The rubber cushion could also be a little wider as it is currently just a smidge wider than the wheel cutouts. However, there is plenty of room on an 80-100mm rim to strap the bike down. 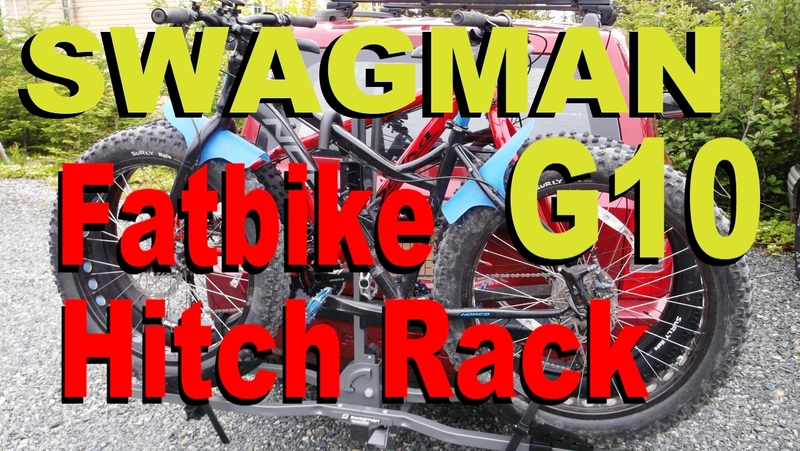 If you are looking for a hitch mounted bike rack to carry your fatbike be sure to check out the Swagman G10 with Fat Trays. There are numerous North American retailers that can supply this suburb bike rack. Great article and quality image sharing this blog. Informative article sharing for everyone. When i go on touring i always take my bicycle with me. Bike rack is best accessories for bike gears.